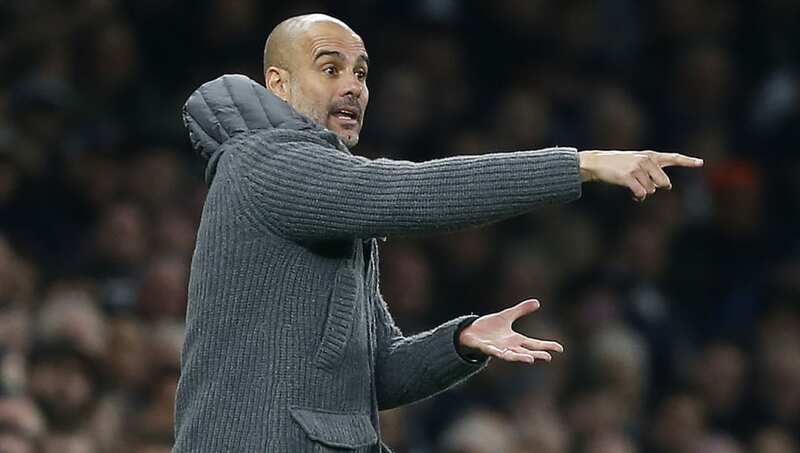 Manchester City's hopes of Champions League glory are hanging by a thread, as they look to turn around a 1-0 deficit in the second leg of their Champions League quarter-final with Tottenham Hotspur. Son Heung-min's late goal was enough to give Spurs the victory that night and give them the upper hand in their bid to reach the final four for the first time. City are yet to go beyond the quarter-final stage under Pep Guardiola and the Spanish manager will be desperate to take them one step closer on Wednesday night, as he looks to lay down his legacy at the Manchester club. With several changes made for the trip to Crystal Palace at the weekend, Guardiola is likely to bring some fresh bodies in for the second leg. Ederson (GK): The Brazilian could maybe have done better for ​Son's goal at the Tottenham Hotspur Stadium, but his consistent performances over the past two seasons mean the keeper is set to continue between the sticks. Kyle Walker (RB): Solid performances in the first leg of this tie and again away at Crystal Palace at the weekend will mean the Sheffield-born full-back should keep his place. His ability to get forward and boost numbers in the City attack will be key to Guardiola's team's chances. John Stones (CB): The Englishman has been missing from the City team of late due to a groin injury, but the former Everton man may return to help his side's attempts to overcome Tottenham on Wednesday night. Aymeric Laporte (CB): A regular in the Cityzens' lineup all season, Laporte may get a chance to reignite his partnership with Stones, which brought his side so much success earlier in the season. The pair will have a tough job on their hands attempting to keep the Spurs attack quiet. Fabian Delph (LB): Delph could arguably have done better for Spurs' goal in the first leg as he allowed Son space to force a low shot past Ederson. However, with Benjamin Mendy unlikely to be risked with two games in the space of a few days, the former Leeds man may continue as a makeshift left-back on Wednesday night. Fernandinho (CM): Integral to the way City play, the Brazilian is arguably the player that makes City tick. After being rested for Sunday's game at Selhurst Park, Fernandinho is expected to regain his place in the squad to face Spurs. David Silva (CM): Another key member of Pep's team, ​David Silva will be the man City look to in their attempts to unlock Spurs' back line. The Spaniard is likely to be part of a more attacking formation than was seen in the first leg. Bernardo Silva (CM): Completing this midfield is likely to be Bernardo Silva, who impressed once more at the weekend as he helped City get past a stern Palace side. The Portuguese midfielder was left out of City's starting team in the first leg - a move which Guardiola has been criticised for. ​Raheem Sterling (RW): After his double at the weekend, ​Sterling's red hot form is likely to earn him a starting spot for Wednesday's quarter-final second leg. A player whose quick feet and trickery will cause problems for either of Spurs' full-backs and could provide the key to City's chances of success in the ​Champions League. Leroy Sane (LW): Having been missing from several starting teams this season, the German winger's performance away to Crystal Palace is thought to have been enough to convince his boss to start him on Wednesday night. The 23 year-old's pace and delivery is likely to cause problems for the ​Tottenham defence all night. Sergio Aguero (ST): The Argentine missed a crucial penalty in the first leg which would have given his side a valuable away goal. However, ​Aguero still appears to be Guardiola's favoured option to lead the City front line and is likely to continue in this role in the second leg.